Here is an antique lace trim with a repeating art deco open circles wheels pattern (yardage 2 yards and 30" long x 1 3/4"). 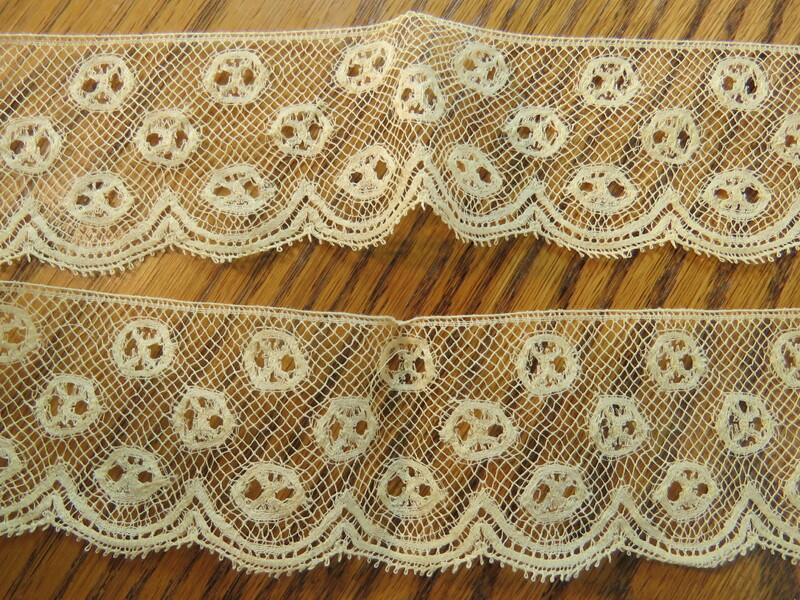 The antique lace trim has a straight edge at the top & scallop edge at the bottom of the antique lace. Antique Lace Trim Condition: The antique lace trim is in excellent unused condition. This lace trim is from the estate of a French seamstress who was a doll collector. The antique lace trim is in "as found condition" in that I have not washed it.